Over the last month or so, I have been working on a new expressive painting. Finally this weekend, I put the final brush strokes onto canvas, to reveal one of my all time favourite paintings, called 'Owning My Magnificence'. 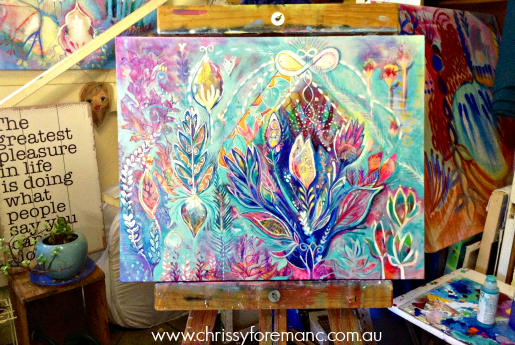 The Making of 'Owning My Magnificence'. It's fun, it's exciting and it's pretty cool to watch unfolding. I hope you enjoy it as much as I loved making it. Wishing you and your loved ones a truly special time together this festive season.